As Family History month continues you may be starting to think about what to do with the information you have collected. Here are some resources on caring for your family papers, information, photos and memorabilia. We also have some ideas and examples of how to present or publish your family history information. How to archive family keepsakes : learn how to preserve family photos, memorabilia & genealogy records / Denise May Levenick. Baby Boomers are coming of age, the age of inheritance. How to Archive Family Keepsakes will help anyone who has inherited their family treasures whether they are a few trinkets or a house filled with antiques. This step-by-step guide will lead the reader from chaos to calm. Part one offers specific advice on sorting and organising inherited items. Levenick also has a blog on the Ancestry website, which you can access at any branch of Wellington City Libraries: This blog summarises many tips on topics like organising and preserving photo collections. How to trace your family tree (and not get stuck on a branch) / Janet Reakes. When you’ve gathered lots of details, documents and photos, and got them organised, the next step is to write up your family’s story. The library has some good resources (see the 929.1 section on the 2nd Floor) to help you move beyond the masses of facts to present them engagingly. Writing a non-boring family history / by Hazel Edwards.This book “will help you craft the history of your ancestors in an interesting and rewarding way that others will want to read”. It is packed with practical advice, with checklists of questions to consider – including who your target audience is, costs, collaboration, editing, format, publication, shaping your story – and when to stop researching! Writing your family history : a New Zealand guide / Joan Rosier-Jones. Virtue leads, fortune follows : a short history of the Shand family from Scotland to New Zealand / compiled and edited by Ann Green. Passageways : the story of a New Zealand family / Ann Thwaite. As Family History month continues so does the list of genealogy resources available at Wellington City Libraries. For this post we feature a handy hint from our Local History Specialist, Gábor, that you can use when using the historic ‘Birth, Death and Marriage’ database in order to get a specific date for the event you are searching for. Also some help in finding passenger lists for ships that came to New Zealand, World War 1 service records and the type of information you can find searching through the NZ Gazette. You can find a display of these genealogical resources from this series of blogs on the second floor of Wellington Central Library. When did your ancestors arrive in New Zealand? How did they get here? Where did they come from? Passenger lists can help you answer all these questions. Over 1000 passenger lists, which can be searched by the name of the ship or port of arrival. Passenger lists arranged by port of arrival. 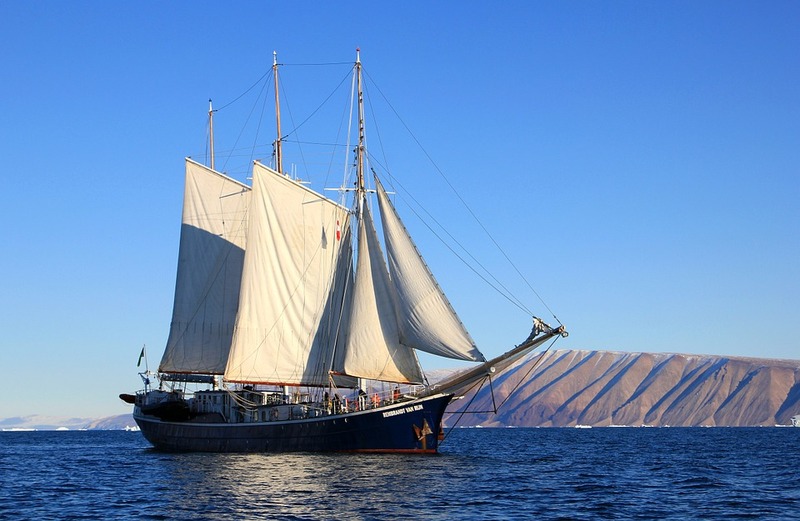 Excellent tips on calculating year of arrival and other details, and many links to other sites containing passenger lists and all sorts of information related to shipping. Search by the name of your ancestor, or browse the collection by port of arrival, year and ship. There are good tips for searching the lists. Ships’ arrivals were usually reported in the newspapers, sometimes with a list of the passengers and often with interesting details about the sailing. If you had a relative serving in WW1 their military record will give a thorough description their military service – from when they enlisted, through wartime and beyond. Besides valuable information like birthdate and place, and next of kin, you can find out all sorts of interesting details about them, like the colour of their eyes and condition of their teeth! For adding depth and fascinating detail to your family history research, you can’t go past Papers Past. This website of digitised newspapers from the National Library’s collection of NZ (including Maori) and Pacific newspapers is continuously being extended – both date ranges and titles. You can search for specific people, places, events etc, or browse through papers – what you find will provide insights into the social, economic and political times in which your ancestors lived. The new version of the website was launched recently and has more than just newspapers. It is divided into 4 sections – Newspapers, Magazines and Journals, Letters and Diaries, and Parliamentary Papers. Searching is easier, with “a cleaner, more modern interface…and search tools have been improved, making it easier to search groups of papers, pick date ranges, and scan results”. 3. The death occurred more than 50 years ago OR the deceased was (or would have been had they still been alive today) at least 80 years of age. For example, the registration of someone who passed away in 1995 aged 60 can now be searched for as they would have been over 80 today. The New Zealand Gazette is a weekly publication of government proclamations and is a massive source of genealogical information. Published since the earliest days of the colony, the gazette holds information about land transfers, bankruptcy notices & business liquidations, military call-up lists, local council information and a huge wealth of other information. One of the most useful areas of the gazette for the family historian are the lists of names (and often addresses) of individuals applying for formal registration within certain occupations. Occupations which required registration include doctors, nurses, teachers, electricians, boilermakers, engine drivers, architects and any number of other roles including positions such as Justices of Peace. One of the issues with the NZ Gazette was that until recently it was very difficult to find any information about an individual without knowing the date a gazette “notice” was published. Today we have access to a searchable database containing all copies of the NZ Gazette from 1841 through to 2014. As the database is a commercial product, it is not available online but rather must be used on a computer set aside for family history purposes at the Central Library. Ask at the reference desk on the 2nd floor for details. It’s week two of Family History month so time to introduce a few more resources that the researcher may be able to use to discover useful information to find another piece of the family history jigsaw puzzle. 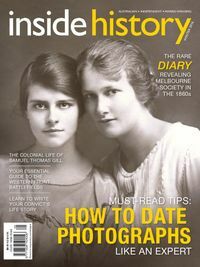 This post features ‘Zinio Online Magazines’ to access Family History magazines, information on searching “Iwi Histories and Māori Births and Deaths database, and three other useful information sources, the city archives, the Cyclopaedia of New Zealand and Stone’s directories. There is also a Wellington based genealogy events. You can find a display of these genealogical resources on the second floor of Wellington Central Library. 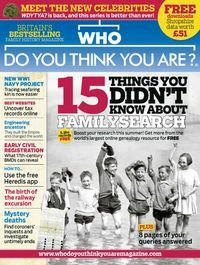 With Zinio you can access family history magazines online including ‘Who do you think you are?’ and ‘Inside History’. Zinio is easy to use – you can view magazines via streaming on desktop/laptops or download them to tablets or smartphones for offline reading using the free Zinio for Libraries app. Added features in both versions allow magazine content to be printed, shared or emailed – and you can easily bookmark a magazine to save where you’re up to. Link here to the full set of titles available. Apart from key “tribal” histories – many of which were published from early last century, there are many books in our collection which will assist you in understanding the background to (your) iwi and hapū. Here is a link to the whakapapa page from the Māori Resources section on the library website. The information in this database is gathered from the same source as the microfiche, and the historical online records i.e. the official records held by New Zealand Dept of Internal Affairs. Keep your search(es) as simple as possible, to avoid “knocking out” entries which may be beneficial to your end result. Did your ancestors live in Wellington? The Wellington City Archive is a huge repository for Council records going back to the early 1860s which can reveal fascinating information about earlier residents. Anyone who has owned a property or run a business within the city is likely to have had some sort of relationship with the City Council and much of that information is kept in perpetuity. Records include house plans, street histories, rating information (who owned a property and what it was worth), cemetery and cremation information, complaints to the council on all manner of subjects, staff records and dozens of other sources information contained within eight linear kilometres of shelving. You can access a basic file index on-line but staff archivists are happy to help you navigate your way through to potential sources of genealogical information. Just to note that archives staff require at least a day’s notice to get requested material ready for you to research in their reading room in Barker Street, so make sure you contact them before visiting. Contact & location details and a link to their index database can be found here. 120 years ago, a Wellington-based publishing company was established to produce one of the first “vanity” publications to be printed in New Zealand. Issued in six volumes (broken down into provinces) over ten years, the Cyclopaedia offers an extraordinary insight into colonial New Zealand at the turn of the 20th Century. The first, largest and most detailed volume was dedicated to Wellington and was released in 1897. It’s 1300+ pages contains a wealth of information about a huge number of different areas such as schools and school teachers, hotels and pubs, central and local body politicians, businesses and their owners, tradesmen, sports clubs, boarding houses and restaurants. As people often paid a fee to be included (and also provided the material), personal biographies are invariably flattering but this doesn’t greatly detract from it being a wonderful source of genealogical information. The publishers also made use of what was then highly advanced printing technology to reproduce half-tone photographs on semi-gloss paper. The result is that the Cyclopaedia contains the only known photographs of many early pioneers. As original copies of the Cyclopaedia of New Zealand are now rare and fragile, Wellington City Libraries worked with the New Zealand Electronic Text Centre to assist them to digitise a complete set of the volumes. These can be searched or browsed here. Before there were phonebooks there were directories. These publications are now usual for finding people, where they lived and what occupations they held. From the early 1870’s to the mid 1950’s saw three major publishers of directories including Wises’ and Stones’ directories which we have in various forms at the Central Library An entry would usually consist of the name, occupation and residence of the house owner. 1869 saw the first householder lists for all provincial centres and included many of the smaller towns. The main sections of the business and residential directories were obtained by canvassing house to house. The head of the household was listed, as well as any male lodgers. Woman were included only if they owned property in their own name. Connolly Hall – Guildford Terrace, Thorndon. Suzanne Sutton: Getting all your family stories written down and out there to be enjoyed now and in the future. It’s August so it must be Family History Month 2016. Here in Wellington it’s a busy month as the Wellington Branch of the Society of Genealogists collaborate with the National Library of NZ to bring a number of events to the region. At Wellington City Libraries we will be featuring these events in blog posts and on our social media channels and highlighting a months worth of genealogy resources available at our libraries and linked to from our website. This post features ‘Probate Searches’, the “Who Do You Think You Are” DVD’s and the ‘Online Cenotaph’ as well as a couple of Wellington based genealogy events. On the second floor of Wellington Central Library you will also find a display of these genealogical resources. In the long-running television series on DVD you can follow celebrities as they trace their family history – and along the way pick up lots of tips on genealogy research techniques and sources. As well as the original UK series, there are also versions from other countries including the USA and Australia. Drive through Yorkshire with Jeremy Clarkson as he investigates his roots, or share Nigella Lawson’s surprise at what she uncovers about her ancestors – each episode is both entertaining and instructive. Who do you think you are? UK series 1 [videorecording]. Ten of Britain’s best-loved celebrities embark on inspiring, emotional and personal journeys, taking us back in time and around the world as we see how their ancestors’ lives have shaped the world they live in. People include Bill Oddie, Amanda Redman,Jeremy Clarkson, Lesley Garrett and Vic Reeves. Starting your family research: using technology to get it right. Mary Shadbolt : A case study showing how McDonnell forbears and living extended family were found using a range of electronic and other sources in NZ, Australia and throughout the world, starting with two original documents. Introductory tour of the family history resources. To save you a trip to Archives New Zealand offices to view the originals, Family Search has collaborated with Archives to provide digitised images of NZ probates. NZ probate records for 1843-1998 are indexed and images are available for all but the last 50 years. Probate records contain many types of documents including wills, affidavits, property records and death certificates. They are a goldmine of clues for genealogical research, including the death date and occupation of the person making the will, names of heirs, guardians and executors, relationships, residences, addresses of property owned, an inventory of the estate, and names of witnesses. Click here and then on the search page, click on ‘Learn more’ for tips on searching the NZ Probates collection and things to keep in mind about probates records. The Online Cenotaph is a living memorial to those who served this country in times of international conflict. It is a biographical database, and information sources include the official nominal rolls and New Zealand Gazette notices, and in many cases there are links through to digitised personnel files held by Archives New Zealand. While digitised records are an important part of the database there is also the feature of the public being able to submit personal war experience stories, photos and information. 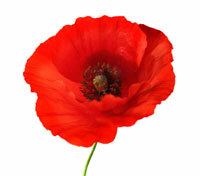 There is also the chance to lay a virtual poppy beside the name of the person you are researching. For more information on genealogy research, visit our Genealogy Popular Topic page.